Home/Alterations/Rolled Hem – What Is It, And Why The Cost? Rolled hem is the way to finish the edge of delicate fabrics. 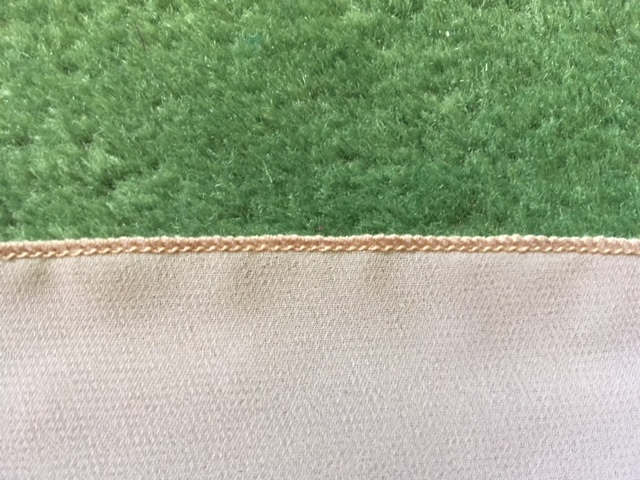 Clients often ask what is it, and why the cost, so let me answer these questions and explain what is involved in the process of applying new rolled hem to your dress. You get only one chance to apply rolled hem to yards and yards of delicate fabrics. Because a knife is involved in the process of sewing, any wrong move might spoil the hem making it uneven. Even with my decades of experience, I had practiced for several months on my new rolled hem machine before I was confident in my ability to do it properly and offer it to clients. I mark the floor level of all layers of the skirt. I NEVER cut even amount from the current rolled hem. In 99% of cases, the current hem looks uneven on the client. Sometimes, this is because of factory error, other times it is because of differences in our curves in comparison with ‘standard figure’ this dress was made for. I cut all layers in accordance with the rule – each inner layer is 1″ shorter than the upper layer. Some clients ask, why the layers are not the same length. Making them the same is incorrect and will make the dress look funny. I make sure that the client is comfortable walking, sitting and dancing in this dress, and the fitting is over. it usually takes 40 minutes. I do machine reinforcing of all cut seams so that they don’t fall apart in the process of my applying the rolled hem. I test the fabric, and adjust my machine to this particular fabric using the pieces I cut from the skirt. I finish all layers with the rolled hem. Now that you’ve seen what’s involved in creating that tiny ( but strong! 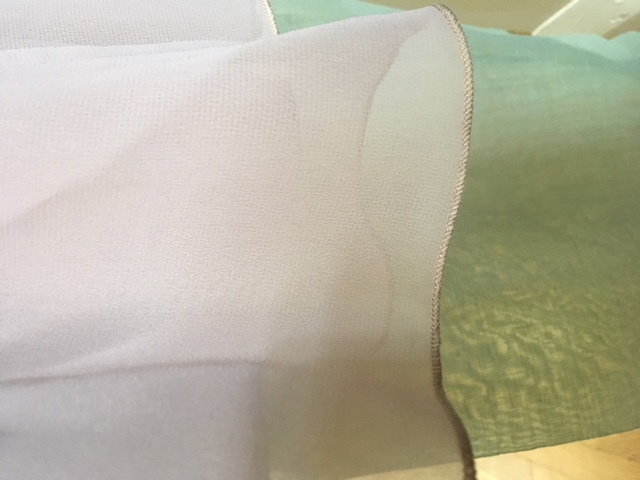 ), neat, playful finish of a hem, I hope you appreciate the amount or effort and high risk that a seamstress is taking to make your dress look right for you. It costs $20/yard to apply rolled hem to an upper layer, and $6-8/yard – for lining. You can measure the length of your hem, and multiply by the number of layers, in order to get a rough idea of the total cost.